An NBC television series followed the Oscar-winning movie, along with a second film version in 2009. And now “Fame” is a stage musical. 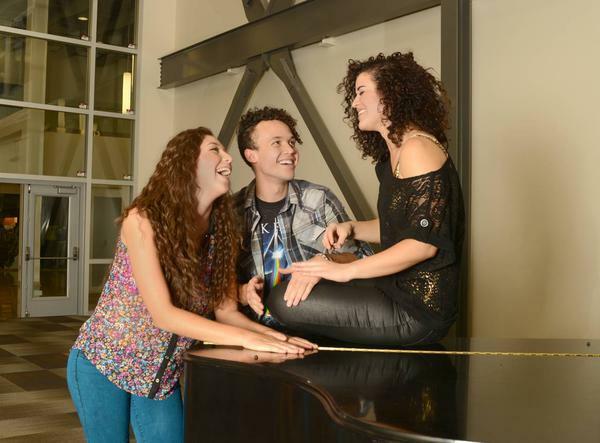 “ ‘Fame the Musical’ is a completely new work,” says David Hanson, who directs the Grand Theatre production. Nearly as memorable as the title song is the film’s most emblematic scene of students dancing on cars outside the landmark High School of Performing Arts building in New York City. “We all know kids in the performing arts. They do break out into song, in the street, in the lunchroom at school,” he says. Producer David De Silva had the idea to follow aspiring performers while they study and develop their talents at the arts-focused specialty school. De Silva developed the original film and was consulting producer on the TV series, and he became known as “Father Fame” once the stage version began development. The stage musical is set in the final years of “PA” before it merged in 1984 with the High School of Music and Art to create what is now known as the Fiorello La Guardia School of the Arts and was relocated to a modern facility adjacent to Lincoln Center. While the focus of the story of “Fame” is aspiring performers, Hanson explains the story’s theme takes on a larger meaning for audiences.